This year I went with a similar theme as last year for my Christmas decor. 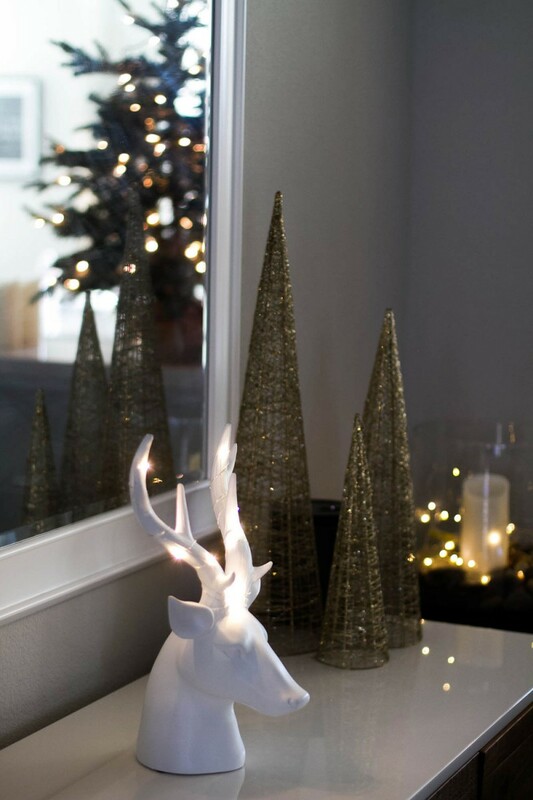 I re-used many of my gold, silver, and white Christmas decor since I had just purchased most of it just a year ago. I did go out and buy a few new things like the garland on the mantle and a few other items. 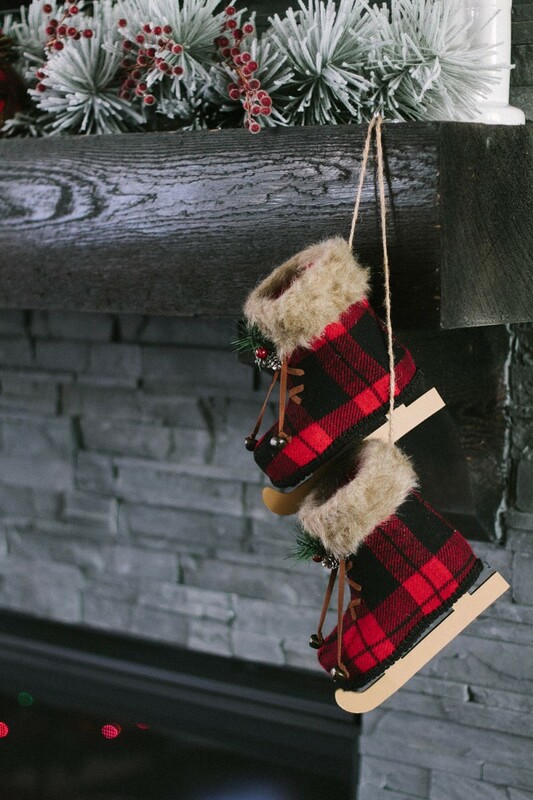 The plaid skates and stocking were perfect touches for adding a wintery feel to the room. 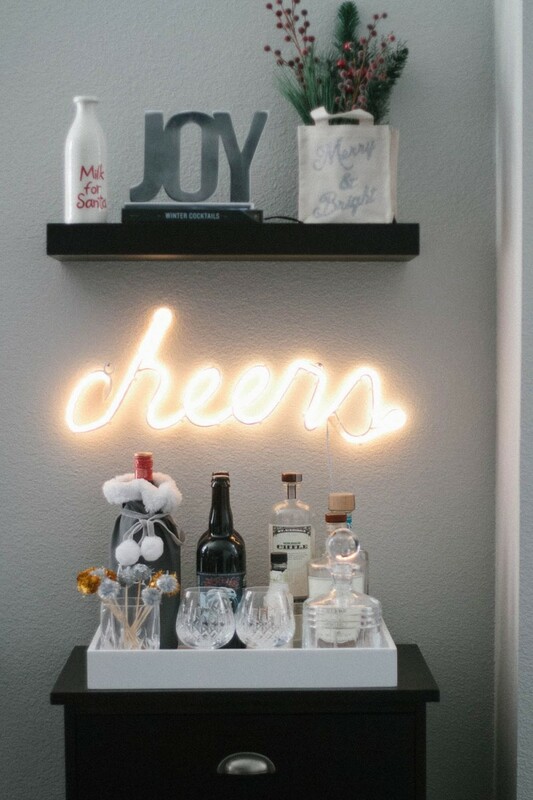 These two items are probably my favorite new additions to the decor! 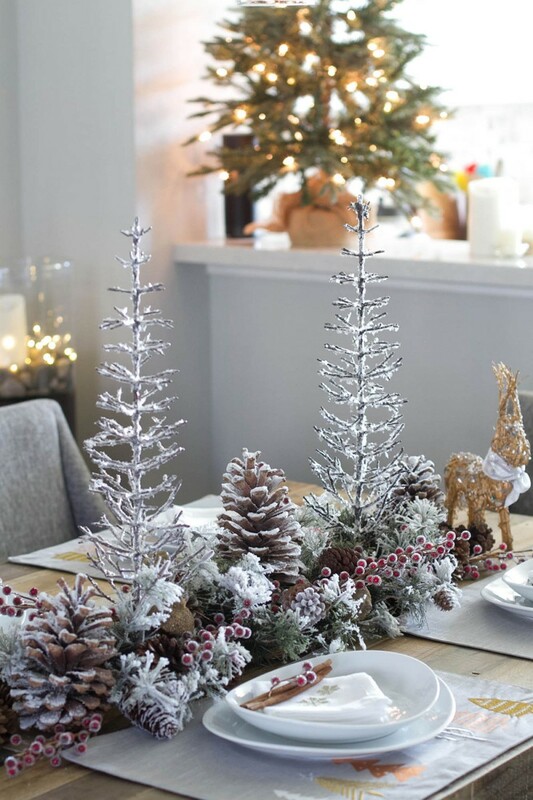 My Christmas tree and dinning table have a snow theme so I really like the way the plaid paired with that. I also found these giant plaid jingle balls to place at the center of my mantle. 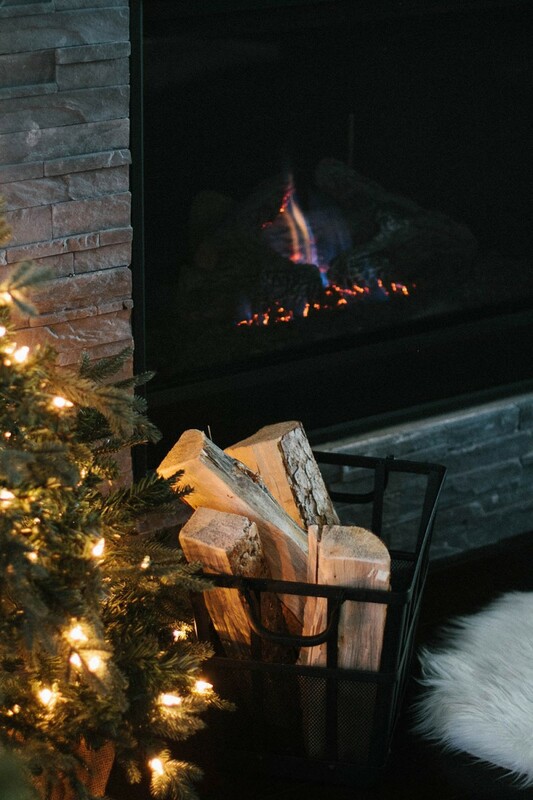 One of the things I really wanted to do this year was add some firewood in front of the fireplace. 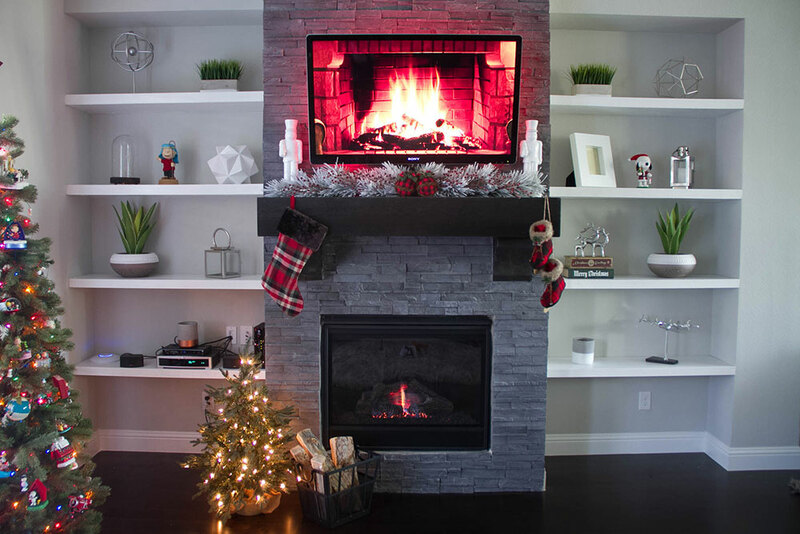 Although I have a gas fireplace (that you can’t open), I really like the way the logs warm up the room! I got the log holder at target and the rug at Home Goods. I then added this little tree that I already had to complete the look. 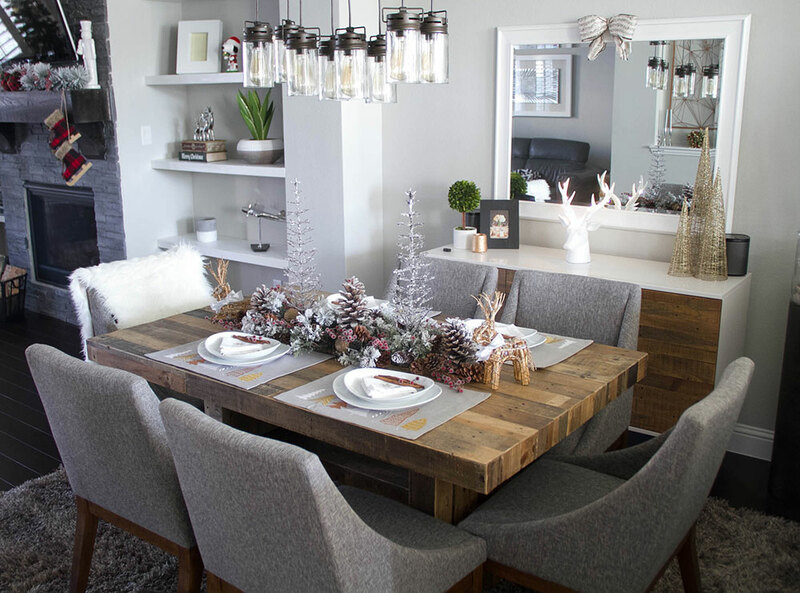 Moving on to the dinning room… Here you can see I used the same centerpiece as last year. This year, however, I added an extra tree and some giant pine cones. 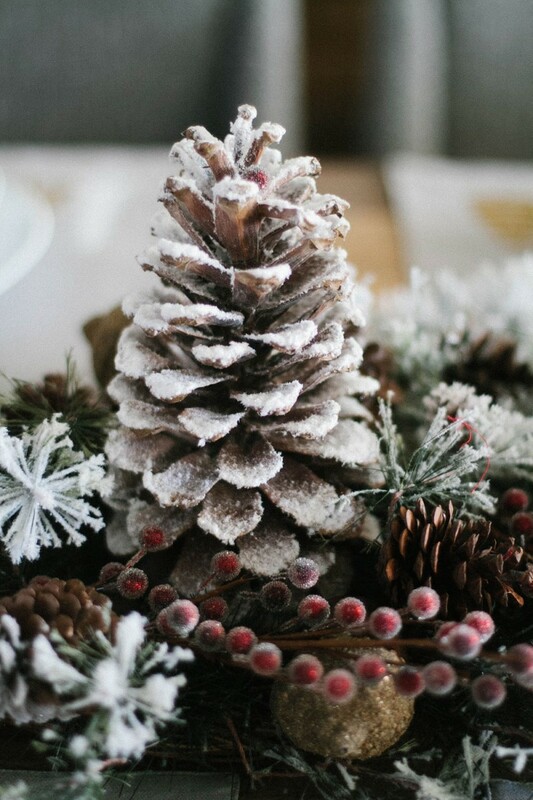 The pine cones were an easy way to fill the space between the wire trees. 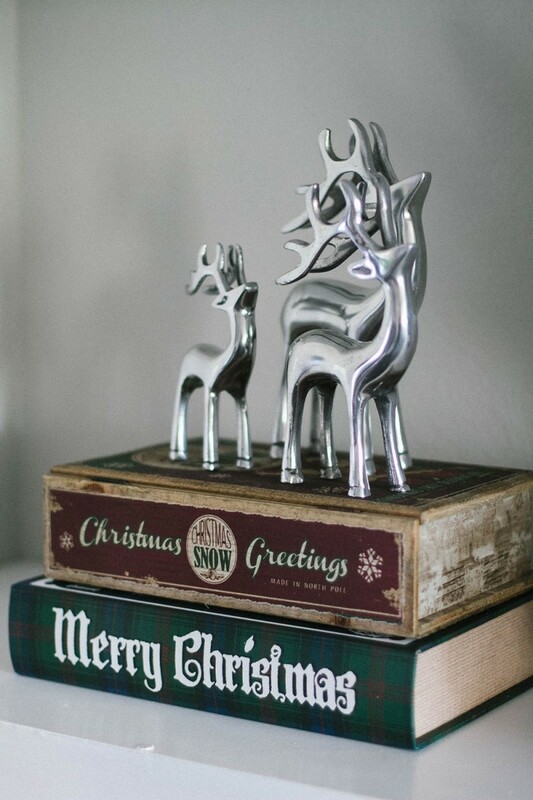 They were pretty cheap but look great and fit in perfectly with the rest of the table decor. I also went with placemats instead of a runner, and switched up the napkins. 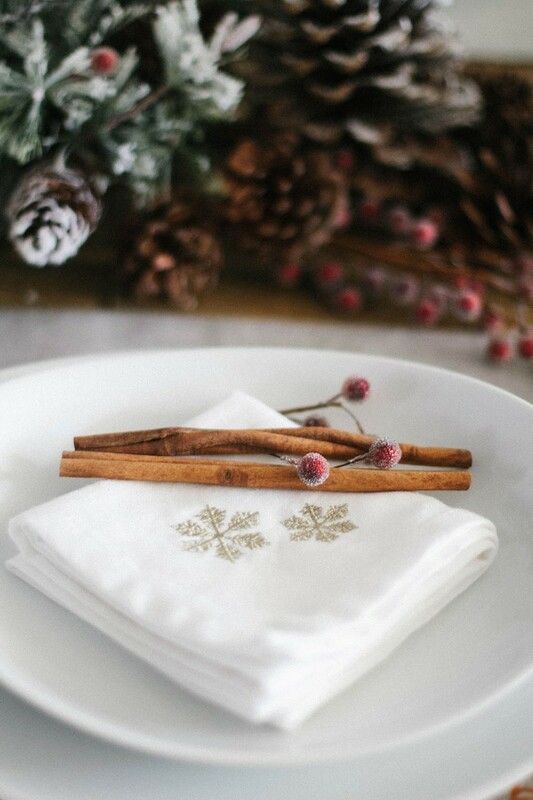 You can see last years table decor here. 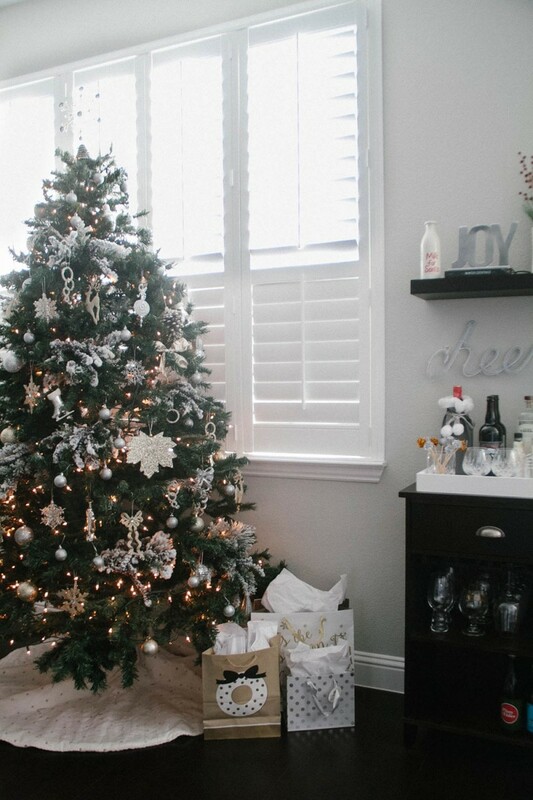 You may have noticed I have two trees in my home… One in the living room and one in the kitchen. The one in the living room has color lights and only Peanuts ornaments on it. The one in the kitchen has all silver and gold ornaments along with a little bit of snow on the branches. For this tree, I used all the same ornaments as I did last year. 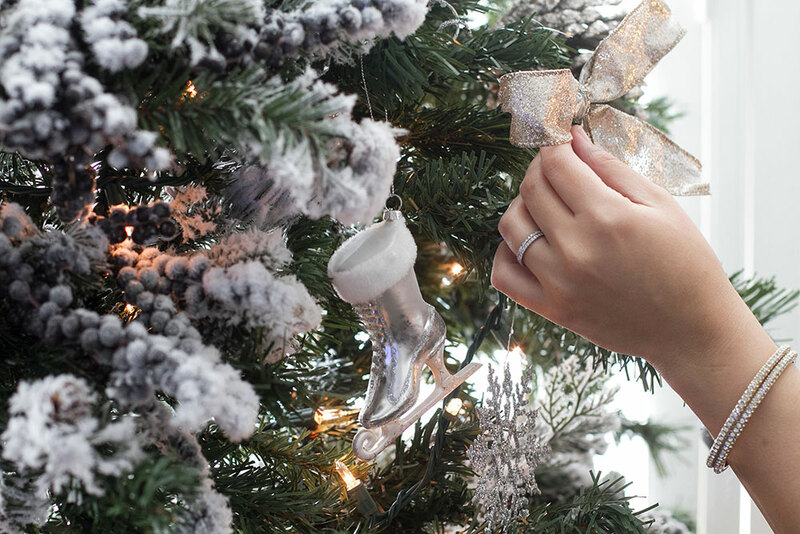 I hope you enjoyed seeing the Christmas decor around my home! If you follow me on Instagram, then you already got some sneak peaks at it. 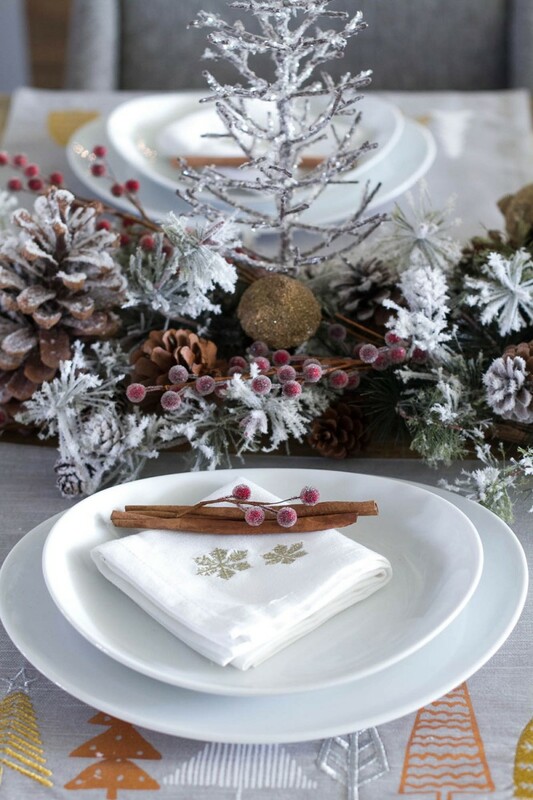 If you don’t follow me yet, be sure to follow along as I’ll be posting more Christmas inspirations all month long!